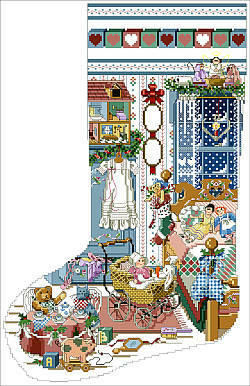 Little girls room is a feminine and elaborate setting. 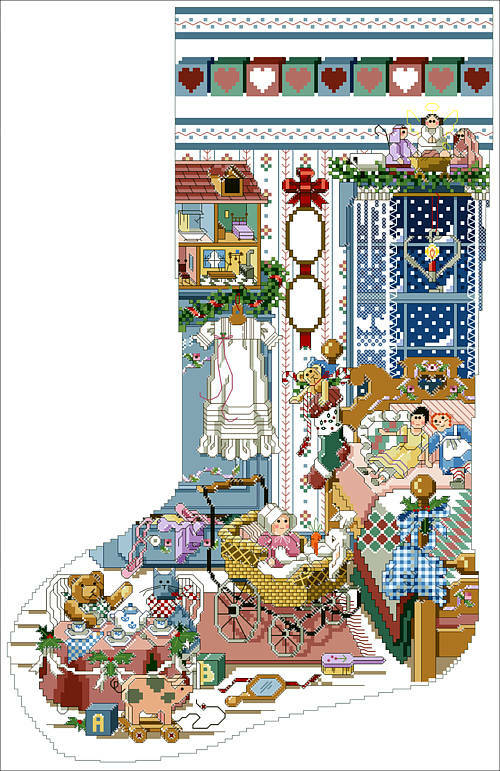 A beautiful, big and detailed stocking by designer Sandy Orton. Contents: Stitch Count 135w X 206h. Finished Size 10-7/8" x 16-1/2"